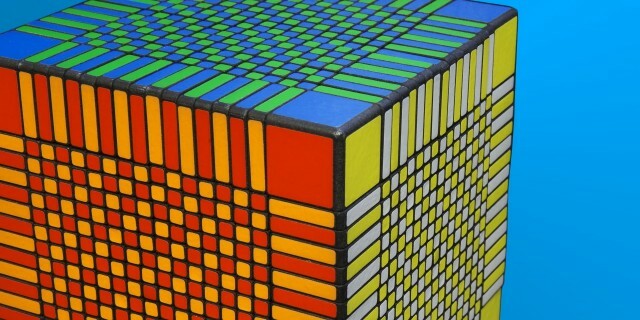 Check out the 17x17x17 Over the Top Cube by Oskar van Deventer! See it move and find out how many positions the 17×17 can be twisted! In US you would call this: 66.9 quinquagintatrecentillion.